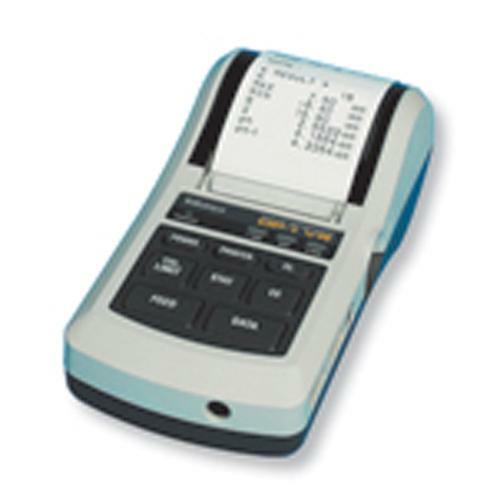 The DP-1VR statistical printer collects measurements from Mark-10 force gauges and torque gauges with data outputs using the Mitutoyo BCD output. It produces a number of charts, histograms, and statistical reports. The printer can be operated on battery power or with the included AC adapter.